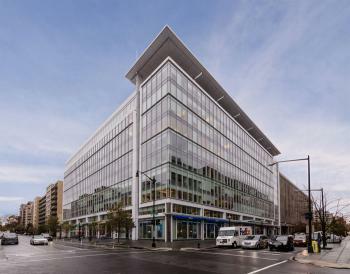 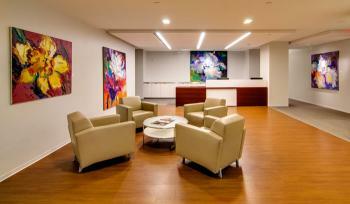 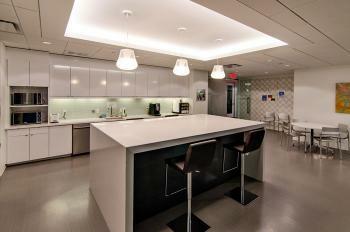 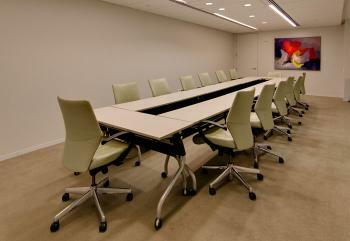 2101 L Street, located in the heart of Washington D.C. in the Central Business District, is a modern, LEED certified green building with premium amenities. Sophisticated and contemporary, the location’s design features a glass and metal façade with two story glass panels. 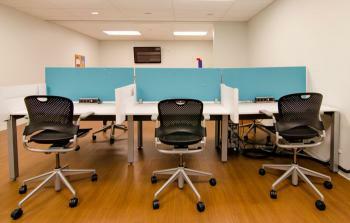 This sleek exterior allows for floor to ceiling windows in exterior offices that bathe the facility in natural light. Our newest location is fit out with high-speed fiber optic internet, VOIP telephones with voicemail to email translation, and cloud service offerings to make sure our clients always have the latest technology at their disposal. 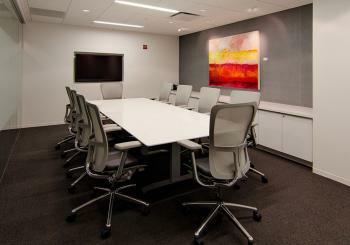 The management and support staff are on-site to provide clients with a number of services from administrative assistance to graphic design, and our suite offers multiple conference spaces and modular design to accommodate client needs from board meetings to training sessions or presentations. An expansive co-working space provides the ultimate professional hot desk environment for the on-the-go worker or for guests of your company who may need a temporary space to work.